From a foundation of three main chemical components, each of which imparts certain key physical properties, each Agriculture surfactant is composed to provide a particular set of features that can be selected to improve the performance of specific formulations. These features, in turn, can improve efficacy so that less end product is needed to produce desired effects. Agriculture surfactants may also act synergistically with other surfactants to improve their performance, thus allowing for optimized customization. As customers get more mileage, value and profitability out of the chemicals already in their formulations, cost and performance may be optimized, providing the kind of benefit enhancement that turns ordinary products into differentiated best sellers. For example, super-spreading spray adjuvants have been helping growers all over the world achieve greater agricultural productivity. Agriculture adjuvants help promote low surface tension, rapid wetting, better adhesion and coverage on foliar surfaces, which can result in enhanced performance and consistency of spray applications. They have demonstrated the potential to lower spray volumes up to 75%, and thus lower both application time and costs. To improve their product’s performance, formulators and chemists utilizing the versatile Agriculture Surfactants portfolio may select from the large array of desirable physical properties that these surfactants provide. In addition to their ability to enhance wetting and spreading, these surfactants can also improve sheeting, anti-fogging, emulsifying, release, and foaming or defoaming. 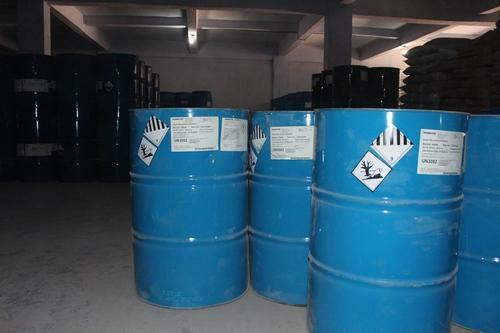 Our Agriculture Surfactants family of surfactants is one of the most complete in the industry. Explore the the surfactants performance additives product family to discover the right solution for many industrial, agriculture, food production and textile applications. Silwet 408 spray adjuvant is a superspreading surfactant based on a trisiloxane ethoxylate. Silwet 408 spray adjuvant lowers the surface tension of spray solutions, beyond that which is achievable with conventional adjuvants.Typically, Silwet 408 spray adjuvant (@ 0.1 wt %) gives an aqueous surface tension of <22 mN/m. On the other hand, an octylphenol ethoxylate containing 10 EO units (a commonly used nonionic surfactant) at 1.0 wt % gives a surface tension of only 30 mN/m.The bottom line Silwet 408 spray adjuvant helps lower the aqueous surface tension more effectively than conven tional spray adjuvants.Additionally, under specific conditions, Silwet 408 spray adjuvant promotes rapid uptake of agrochemicals into plants via stomatal infiltration. Spray solutions taken into plants in this way become rainfast, thereby improving application reliability.Unlike other trisiloxane alkoxylates, which are negatively affected by oil based components (i.e. EC formulations, spray oils, etc. ), Silwet 408 spray adjuvant provides enhanced spreading in many of these types of formulations relative to competitive organosilicone based adjuvants.Silwet 408 spray adjuvant is nonionic in nature, making it useful with a broad range of agrochemical formulations. (a) Note use rates are dependent on crop, agrochemical and spray volume requirements.